A substantial piece of equipment. I've been grateful I'd worn this sort of protection in the past. The previous one wouldn't transfer to a new jacket but this replacement feels and looks like it will do the job again if necessary and fits perfectly in the pocket. Although it has some reassuring thickness it's comfortable to wear. First back armour I've had which you don't know you've got in. Bought this to fit with my new AirWave jacket (which I also really like). 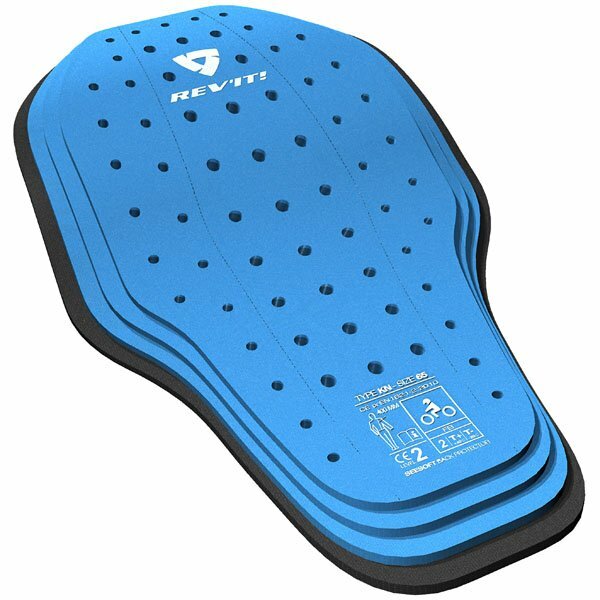 Nice to have a back protector in there and this one fits well and is light, flexible and should give good protection. Hopefully I'll never need it. Bought this to add in to my Rev It CR1 Suit. Fits perfectly and sits really well on my back within the suit. The protector sits within the removable liner which means it will move slightly. If you want better protection than go for a separate wearable protector. These feel and seem better than others on the market.